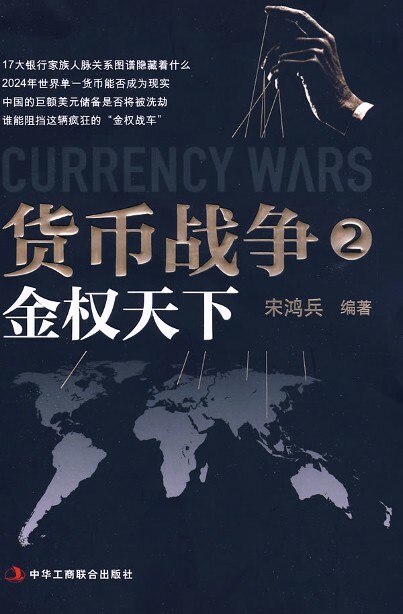 Currency wars. Well at least a Phony War for now. See, nothing has happened. All is well. Move along. Nothing to see here. Status quo intact. The US sovereign debt gets a stiff downgrade, cut down from number one in the world, to a distant thirteenth place by China's Dagong Credit Rating Agency. Governments like China do not take actions like this randomly, and their quasi-state organizations do not march to the beat of their own drummer. It will be interesting to watch this develop, and calculate the strategy, to figure out the next steps. From a thematic perspective, coming up, competitive devaluations, and a shift in the reserve currency regime that will resemble a seismic shift, most likely pivoting around the SDR composition discussions later this year. The US battered the euro and has been sitting on gold and silver ahead of the SDR discussions. And now China has slipped a shiv between the ribs of the almighty Dollar. This is just the overture, the prelude to the dance. 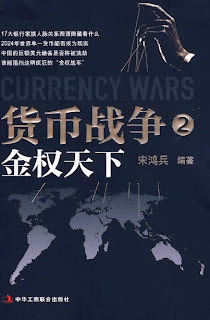 And further down the road, trade wars, well, at least trade wars more overt than the ones which have been ongoing since 1980, in which the US based multinationals thought they were pulling the strings, breaking the back of American labor. And guess who the arms dealers are in this paper chase, selling to all sides? Who are the untouchables, the TBTF, a strategic asset in the financial arsenal of democracy? When these boys roll into town it's time to hide the women, children, livestock and provender. The US media will downplay this, dismiss it, say it does not matter because China will not/ dare not/ can not/ do anything to change the status quo. And expect the spin to be laced with plenty of condescension. Oh those sly Chinese, just talking up their book, just like us. But who can take those little rapscallions seriously. They are wrong, and they know it. Well maybe not the news readers and the spokesmodels, who only know what they are told. But the strategists, the thought leaders, and the smart money most certainly know it. They just do not wish to share that information with you yet, because real knowledge is power. And show enjoy the show. Watch how people react to this, and how they spin it to you. This will be an indication of either what they know, or the kind of character they have. Then you will know something about them and the kind of player they are. Remember it. They think that you do not have a need to know anything about this yet, because you are intended to be cannon fodder, grist for the mill. Along with Europe, which is busy scourging its citizens into submission to more willingly serve the Anglo-American banking cartel. And so the fog of war rolls in. A Chinese firm that aims to compete with Western rating agencies declared Washington a worse credit risk than Beijing in its first report on government debt Sunday amid efforts by China to boost its influence in global markets. Dagong International Credit Rating Co.'s verdict was a break with Moody's, Standard & Poors and Fitch, which say U.S. government debt is the world's safest. Dagong said it rated Washington below China and 11 other countries such as Switzerland and Australia due to high debt and slow growth. It warned the U.S. is among countries that might face rising borrowing costs and risks of default. The report comes amid complaints by Beijing that Western rating agencies fail to give China full credit for its economic strength, boosting borrowing costs -- a criticism echoed by some foreign analysts. At June's G-20 summit in Toronto, President Hu Jintao called for the creation of a more accurate system. Dagong, founded in 1994 to rate Chinese corporate debt, says it is privately owned and pledges to make its judgments impartially. But in a sign of official support, its announcement Sunday took place at the headquarters of the Xinhua News Agency, the ruling Communist Party's main propaganda outlet. Dagong's chairman, Guan Jianzhong, said the current Western-led rating system is to blame for the global crisis and Europe's debt woes. He said it "provides the wrong credit-rating information" and fails to reflect changing conditions. "Dagong wants to make realistic and fair ratings," he said. Beijing has more than $900 billion invested in U.S. Treasury debt and has appealed to Washington to avoid hurting the value of the dollar or China's holdings as it spends heavily on its stimulus. Dagong's report covered 50 governments and gave emerging economies such as Indonesia and Brazil better marks than those given by Western agencies, citing high growth. Along with the United States, some other developed nations such as Britain and France also received lower ratings than those of other agencies. Dagong rated U.S. government debt AA with a negative outlook, below the firm's top AAA rating. It warned that Washington, along with Britain, France and some other countries, might have trouble raising more money if they allow fiscal risks to get out of control. "The interest rate on debt instruments will run up rapidly and the default risk of these countries will grow even larger," its report said. Dagong said it hopes to "break the monopoly" of Moody's Investors Service, Standard & Poors and Fitch Ratings. Their reputation suffered after they gave high ratings to mortgage-linked investments that soured when the U.S. housing market collapsed in 2007. Manoj Kulkarni, head of credit research for SJS Markets in Hong Kong, said that despite the possibility China's government might try to influence Dagong's decisions, there is room in the market for a Chinese agency because Western firms' credibility is badly tarnished. "As long as there is another opinion and it is backed up, I don't really think a China-based company will have an incentive to rate, say, Indonesia any better than a U.S.-based rating agency," Kulkarni said. "If it comes to Chinese government-related companies, maybe there might be a conflict of interest, and investors would have to be aware of that fact," he said. Chinese leaders have appealed repeatedly to Washington to safeguard their country's U.S. holdings and avoid taking steps in response to the global crisis that might weaken the dollar or the value of American assets. Dagong rated China AA-plus with a stable outlook -- higher than Moody's A1 and S&P's A-plus -- due to rapid growth and relatively low debt. July 12 (Bloomberg) -- A Chinese company gave its own government a higher debt rating than the U.S., U.K. and Japan in the nation’s first sovereign ranking because of widening deficits in the developed world. Dagong’s rating report gave “markedly” different valuations to 27 countries compared with those of Moody’s Investors Service, Standard & Poor’s and Fitch Ratings, the statement said. The euro has slumped 12 percent this year on concern that Europe’s fiscal crisis may expand beyond Greece and Spain to Germany and France.